Sweden eliminated Italy 1-0 on aggregate Monday to cement its place in the 2018 FIFA World Cup which will be held in Russia next June. 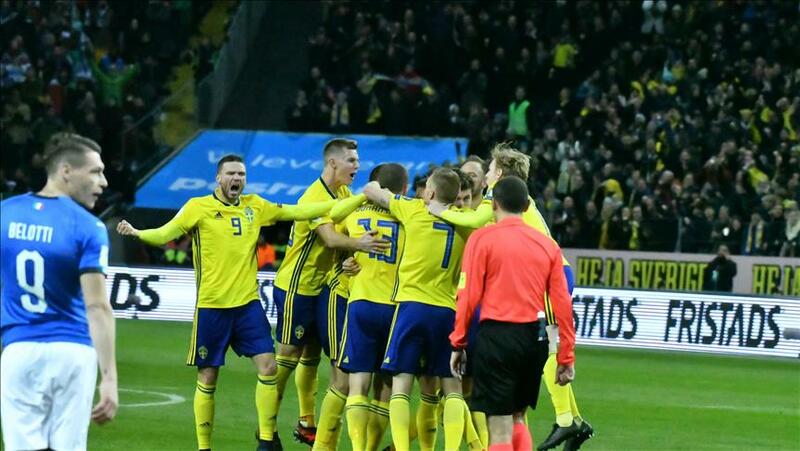 A goalless draw in the second leg sealed the deal for Sweden at Milan's San Siro Stadium as Italy failed to qualify for football's biggest event for the first time since 1958. Sweden on Nov. 10 defeated Italy 1-0 at their home court in the first leg of the playoff draw. Belgium, Croatia, England, France, Germany, Iceland, Poland, Portugal, hosts Russia, Serbia, Spain and Switzerland have already qualified after European qualifier rounds. Europe’s preliminary competition offers the highest number of berths at the 2018 FIFA World Cup Russia with 14 in total. The last European nation to join the qualifiers will be decided Tuesday when Ireland and Denmark go head-to-head.